In my younger, impressionable years I read a gardening book called Colour by Design. 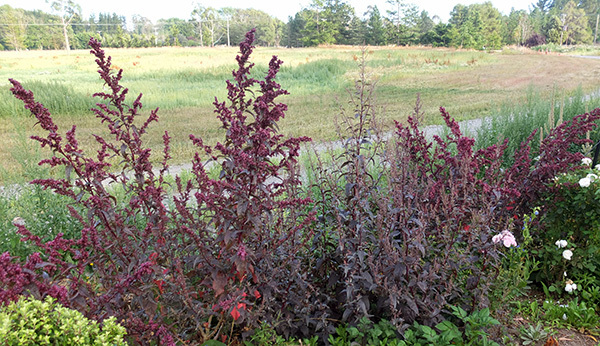 Therein I met an exciting red foliage plant called red Orach, Atriplex hortensis. It was said to be a super-stylish cattle-fodder. I loved the look of it in the book's garden borders. I tried to find some in the local seed catalogues. Well, I think I tried - but no joy back then. 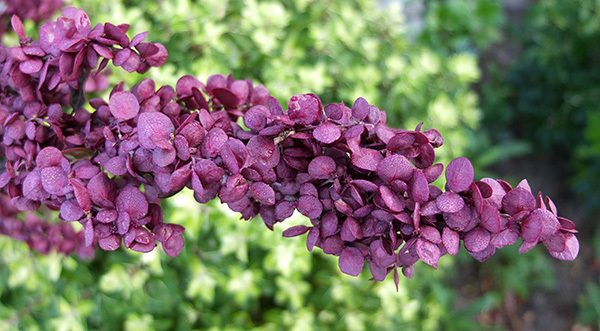 Egmont seeds now sells Atriplex hortensis, red Orach, in New Zealand. And forget the cattle - its leaves are useful for human salads, or to make edible cooked 'parcels'. Just a couple of years ago I had the pleasure to visit friend Robyn Kilty's little 'cottage with a garden' garden. 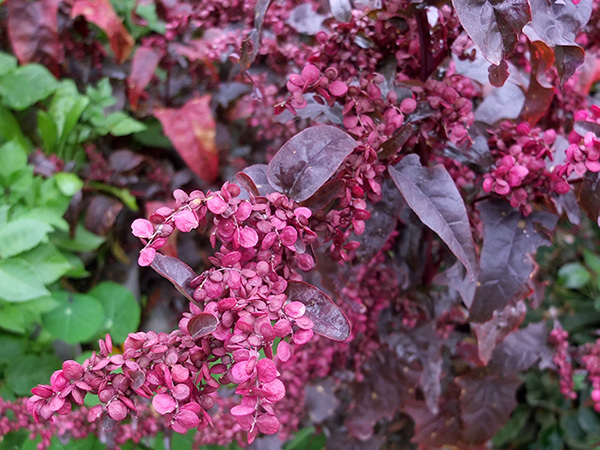 And there it was - red Orach. Wow! Amazing! My friend pulled out six seedlings for me - not a problem. My patch of red Orach grows in the Allotment Garden. It's welcome to produce however many seedlings it wants. I love the colours - from the fresh magenta-purple of the new growth to the faded, burnished copper colours when it's ready to call it a day (usually in mid-autumn). I love the fact that it grows so tall. I'm OK with it flopping over, too. The annual of your dreams? Still searching for the annual of your dreams? I've found mine. And probably, according to Robyn, won't ever lose it. Oops. Have a peep at Robyn's garden website and blog. She's a creative, energetic gardener who's always doing things, as well as being a writer who knows her stuff. The perfect combination!